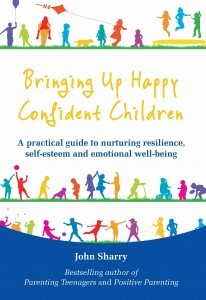 Read John Sharry’s 6-part series of articles on how you can help promote positive self-esteem, confidence and emotional wellbeing in children and teenagers. (originally published in The Irish Times June-August 2016). John writes in The Irish Times Health+ every Tuesday. John will give a talk on ‘Building Self-Esteem in Children and Teenagers’ in the Carlton Hotel, Blanchardstown, Dublin on Wednesday 28th November 2018. Click here for details.